The Living Desert will show you how language has misled everyone into thinking of the desert as a surly, outlaw landscape instead of a fragile, interesting ecosystem. You’ll see remarkable plants, animals, places and natural phenomena associated with deserts and learn how The Living Desert is helping to interpret and protect them. 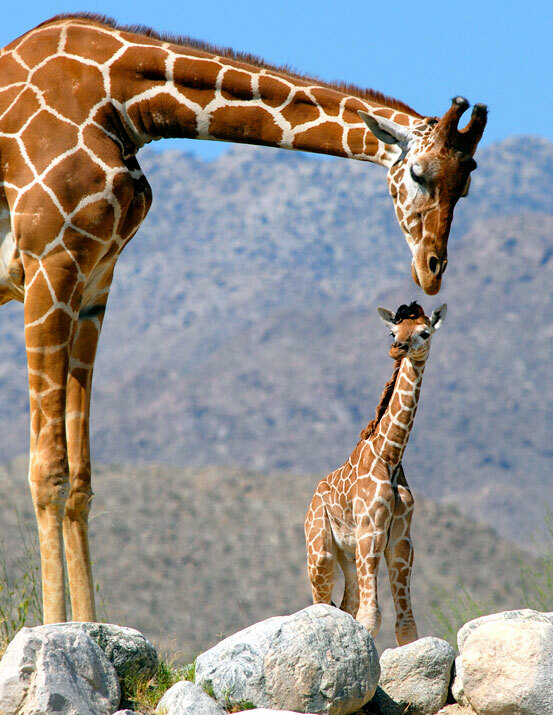 There are several animal exhibits including African and North American species that thrive in the desert. Animals such as Arabian oryx, several species of gazelle, sand cats and fennec foxes, all call the desert home. Almost all are critically endangered, largely because modern hunting equipment – jeeps, helicopters, telescopic sights and automatic weapons – has given man an immense advantage over animals in the desert. The Living Desert has worked many years to successfully increase the world’s population of slender-horned gazelles, sand cats, addax and Arabian oryx. Not all African species in our collection are endangered. Aardwolves, camels, dik diks, hornbills, meerkats, rock hyrax, warthogs and zebras, everything from A to Z, can be found in the African animal exhibits at The Living Desert. Most zoos feature exotic animals from other parts of the world. Here at The Living Desert, we include animals that live in our own ecosystem, the deserts of North America. Geographic: a garden representing a particular geographic area, such as the Upper Colorado or Viscaino (Baja) Gardens, etc. Taxonomic: a garden of plants grouped not by area but by classification, as in the Barrel cactus, Agave or Yucca Garden, Palm Garden. Educational: a garden whose plants are grouped to illustrate a larger concept or function, as in Indian Ethnobotanical, Primitive, Peninsular Bighorn Sheep or Hummingbird Gardens. Display: a garden with display or landscaping function, such as Wortz Demonstration Garden, Eagle Canyon and Palm Garden. Come explore the living desert! We are conveniently located in the center of the Coachella Valley, just minutes from Palm Springs and Indio. From Hwy. 111 in Palm Desert, turn south on Portola Ave., go 1 1/2 miles, follow signs to main entrance. Plenty of free parking. From Interstate 10 take the Monterey exit and turn south. Go south approximately 6 miles and turn east (left) on Hwy 111. Follow direction above when you reach Portola.